TALLAHASSEE, Fla. — The rankings are in. 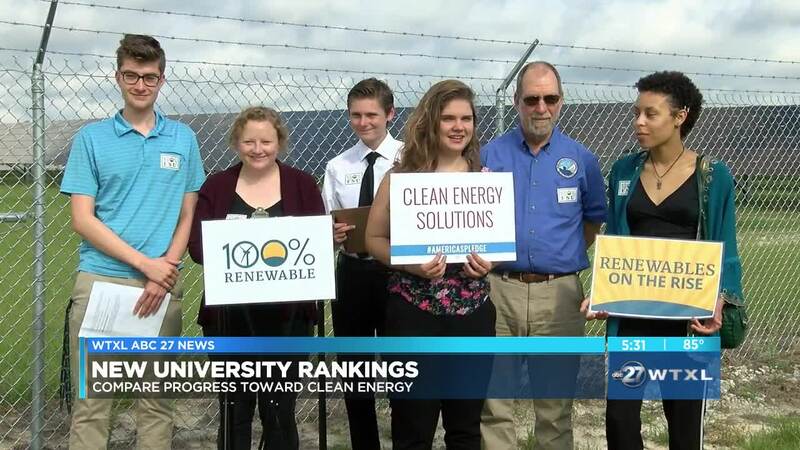 A study released Friday by the Environment Florida Research and Policy Center show top rankings of schools across the nation moving toward clean energy. More than 40 colleges and universities get their electricity from 100-percent renewable sources. While Tallahassee's colleges and universities didn't make the list this year, students and faculty held a press conference Friday morning to share new rankings and how FSU, TCC, and FAMU plans to make the list in the future. One professor expressed how moving toward clean energy is something that needs to be prioritized. "We recognize that yes its expensive to adapt and expensive to make the changes that at necessary to save our planet," said Ian Macdonald, Professor at the Earth, Ocean and Atmospheric Sciences at FSU. "If we don't pay now, we are going to pay later." One of the many promising projects addressed at the conference is FSU's commitment with star metro to bring all electric buses to the campus.